The actress is asking ht public for prayers. Tamera Mowry-Housley is frantically searching for her niece, Alaina Housley and fears she may have been injured in the devastating mass shooting in Thousand Oaks, California Wednesday night. Tamera responded to a social media post from one of Alaina’s suite mates. The college student explained that a handful of her suite mates had gone to the Borderline Bar & Grill on Wednesday night and some were still missing. “A handful of girls went to line dance tonight and they’re not all accounted for,” she wrote. 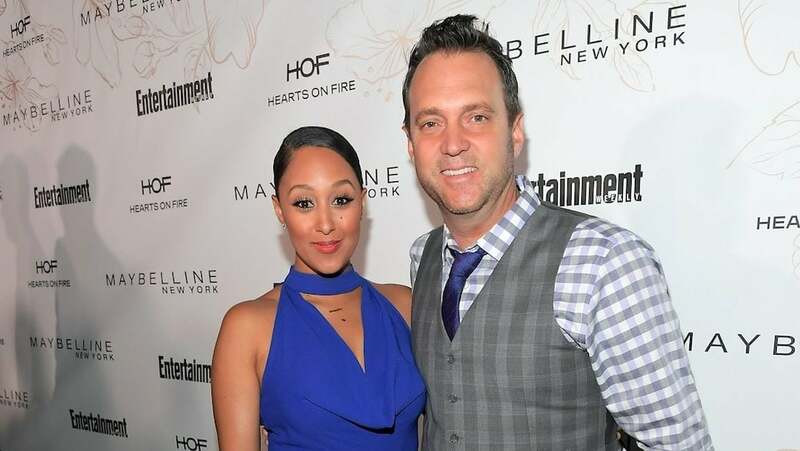 According to reports, Tamera’s husband, Adam Housley tried to locate his niece at the Los Robles Regional Medical Center around 3:30 a.m. but was turned away because the facility was on lockdown. “Staying positive and praying and hoping and wishing there was more I could do,” he posted. He reportedly told the LA Times that he fears for his niece’s life. “My gut is saying she’s inside the bar, dead. I’m hoping I’m wrong,” he said. Tamera’s twin sister, Tia Mowry-Hardict, shared her shock and horror about the news on social media as well. “Woke up shocked. Please pray. Please pray. I am numb,” she posted. “Alaina Housely we are praying. We love u! If you know anything of any information please let us know. We love you!,” she added along with a sweet snapshot with the missing girl.